One of the biggest issues affecting the justice system is corrections. According to Marion & Oliver, the corrections system includes policies, programs, agencies, and all fields that aim for the goal of correcting the offender (The Public Policy, 2012). State and government agencies work together to fund local, federal, and state correction facilities that offer a range of programs from the rehabilitation of offenders, drug and alcohol treatment, detainment centers, halfway houses, work source programs, and support groups for offenders or forms of counseling. Programs like these inexplicably affect policy making for facilities dealing with offenders. Facilities are set up specifically to deal with issues that affect different areas of corrections. These issues include drug rings and smuggling, defense against terrorism on domestic and foreign soil, human trafficking, and various others. Offenders that are in federal prisons are placed there due to the breaking federal laws, which are considered different than state laws. When a federal law is broken, the government has jurisdiction instead of the state. According to the Federal Bureau of Prisons (2015) a federal law is a law that was created by the federal government that joins together with states and surrenders individual [its own] sovereignty to the central government. Meaning that the government has the jurisdiction to try these cases in federal court under federal law or jurisdiction (Federal Bureau of Prisons, 2015). According to Hanser, the author of Community Corrections, the goal of Corrections is to rehabilitate offenders. Rehabilitation is a reform of the offenders through correctional counseling, making restitution, the offender coming to terms with their actions and behaviors, and finally, realizing what brought them to prison in the first place. Corrections goal is to release the offenders back into the community as functional members of society, meaning that they will no longer commit crimes (Community Corrections, 2014). Marion & Oliver, authors of The Public Policy (2012), explain that “…people do not come willingly to prisons. They are forcibly brought through the gates and prevented from leaving by guards, walls and fences” (Marion & Oliver, 2012, pp.369). It is important to see how an offender sees a corrections facility. Instead of looking at their time in the facilities as a positive way of correcting behaviors and making better choices, prisons and correctional facilities are viewed as a forced obstacle meant to harm the offender. These facilities that were intended for rehabilitation have lost their effect to do their purpose because of how they are viewed. 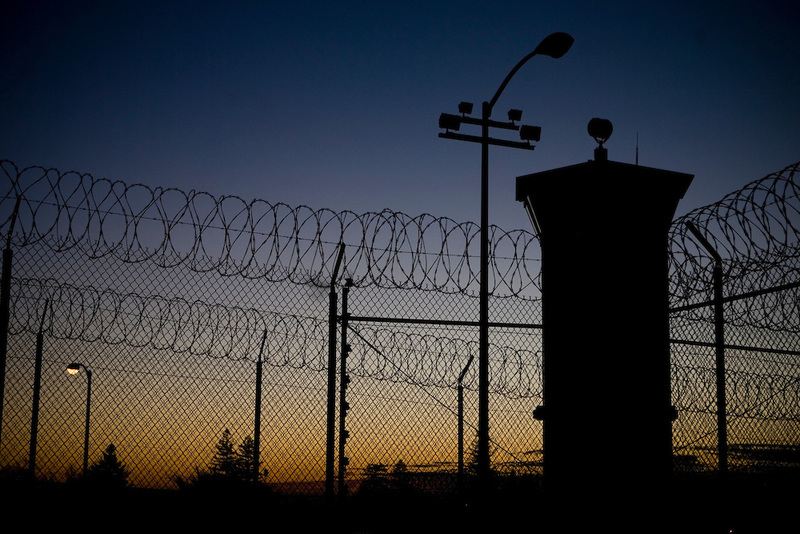 While many would argue that we need correctional facilities, they are no longer effective. We need policies in place for them, agencies working to better those policies, dictation to the administration, and regulation of what occurs inside of those walls. Until all of this is occurring, the system will remain broken. When it comes to funding, according to State Budget Solutions, “Corrections spending currently accounts for $53.3 billion in state budget expenditures nationwide, with the majority of funding going toward prisons. In 2011, corrections took up 7.5 percent of all state general fund expenditures, but that is often before taking into account the large staffing costs. States are looking at cost cutting measures from sentencing reform to virtual parole offices, and states are also cutting court budgets (Issues & Solutions, 2013). With such excessive costs in just one area of policy making, the idea would be to see what works the best in this field and go with that. However, it isn’t the budgets, the spending, the training of officers, or even the prisons and agencies that are the biggest issue in this area of policy making. The biggest concern facing rehabilitation is recidivism. With recidivism rates as high as they are, there is no way to know what is working. Because of the amount of money spent on the programs for corrections, the main goal would obviously be success. According to the National Institute of Justice (NIJ) “Recidivism is one of the most fundamental concepts in criminal justice. It refers to a person’s relapse into criminal behavior, often after the person receives sanctions or undergoes intervention for a previous crime. Recidivism is measured by criminal acts that resulted in rearrests, reconviction or return to prison with or without a new sentence during a three-year period following the prisoner’s release (Recidivism, 2015). The statistics for recidivism over thirty states are shocking, showing that, “Within three years of release, about two-thirds (67.8 percent) of released prisoners were rearrested. Within five years of release, about three-quarters (76.6 percent) of released prisoners were rearrested. Of those prisoners who were rearrested, more than half (56.7 percent) were arrested by the end of the first year. Property offenders were the most likely to be rearrested, with 82.1 percent of released property offenders arrested for a new crime compared with 76.9 percent of drug offenders, 73.6 percent of public order offenders and 71.3 percent of violent offenders” (Recidivism, 2015). One thing that policymakers could look to is the rates of recidivism in a particular area, to see what is working and what is not. The target then would be to work toward different policies for the rehabilitation of the offenders with the highest percentage of recidivism and to measure the success through survey and national statistics again after new policies have been put into place and been given time to see a new wave of results. This is more of a trial and error type of research because it is based on the success or failure of the subjects involved. In the justice system when it comes to corrections, there are many types of correctional methods used to help lower these recidivism rates. These include work release programs, which allow for offenders to find and (hopefully) keep jobs in the community upon release from the prison system. These types of programs can also be used as an alternative instead of serving jail time (Hanser, 2014). Hanser’s research shows that carrying a job and having one’s own source of income can greatly reduce re-offense and can be effective in counteracting recidivism. The Rehabilitation Institute of Washington discusses restorative justice, which serves the purpose of completing these main tasks. In addition, it assists victims and the families so that the victim can move on with their life and not allow the crime to keep affecting them in their personal lives (Restoring Quality and Function, 2015). Another goal is to restore the community back to whatever degree possible that it was in before the crime or offense occurred. Because certain crimes can tear apart communities, especially with crimes that cause a stigma or financial deprivation, this can be effective. Other programs give the offender a personal responsibility to victim[s] as well as to the community for the offenses committed. The offender needs to repair the damages done to both victim and community so that both can move on and heal. This is known as restorative justice. The goal with restorative justice is to allow competency and understanding of the crimes that an offender has committed and hope that through understanding how the offense affected the victim and community, the offender will no longer choose to offend. Restitution and community service are also parts of the policies related to corrections that are used in hopes of stopping recidivism (Wilson & J. Petersilia, 2011). Restitution is an act that holds offenders accountable for the damages they have done and makes them repay it to teach them the consequences to their actions while community service is when the offender does good deeds, and the belief is that the good will repay the wrongs they have done in the community and to help them see how it affects the people and community involved. Other areas that affect recidivism, though not in all states, are parole and probation. These are the most commonly used sanctions, to integrate an offender back into the community or to keep them in the community without committing more offenses (Hanser, 2014). The Department of Corrections (DOC) of Washington State states that “With 97% of all incarcerated offenders returning to local communities, Correctional Industries plays an important role in their transition. With the seed money from their savings, job skills and experience gained from CI, the offenders have a greater chance of finding a job — enabling them to work toward a better life for themselves, their families, and their communities” (Department of Corrections, n.d.). This is a program that helps to encourage offenders after release to look for and to keep jobs, so that the likelihood of their re-offense lessens, as well as a hope that they become and feel like they are welcome members of the community. No matter how an offender officially deals with the corrections aspect of law and justice, you can assume somewhere along the line they will either decide to turn their lives around or continue to offend, and this is based off their time in the correctional system. The offender either makes choices to be an active, helping, member of society or continue to offend. If they continue to offend, the choice is likely made sometime during their first interactions with the court system to their release, parole, or judge ordered punishment (sentencing). Changing the way people view recidivism and how they deal with it, as well as the policies that affect it could possibly make the difference in the number of people we have in the correctional system, by identifying the issues. Hopefully, this will lessen caseloads and free up more finances to be spent on other areas like education. Because offenders are not likely to be able to meet with policy makers, politicians, or even media, the answers to solving the problems with policies in corrections are likely to be found through research, studies, statistics and programs connected to the release of offenders and re-entries into the system. Officials within the Bureau of Prisons are likely to have the most significant amount of information on this topic, and researchers can meet with community activists to sets agendas and formulate policies (and policy changes) from their implementation and evaluations. After evaluations, researchers should assess the changes in policies to see if they are significant enough to make the changes permanent, or if they should go back to the drawing board. However, this gives a place to start, whereas doing nothing at all makes no change whatsoever. “Courts & Corrections.” State Budget Solutions. Issues & Solutions: Courts & Corrections, 2013. Web. Cullen, F.T. & Jonson, C.L (2011). Rehabilitation and Treatment Programs. In J. Q. Wilson & J. Petersilia (Eds. ), Crime and Public Policy (pp. 293-344). New York, NY: Oxford University Press. “Federal Bureau of Prisons“. BOP: Federal Inmates. N.p., n.d. Web. Oct. 2017. Hanser, R. (2014). Community corrections (2nd ed.). Los Angeles: Sage. Marion, N. E., & Oliver, W. M. (2012). The Public Policy of Crime and Criminal Justice (2nd Edition ed.). Pearson Education Inc.
“Recidivism.” National Institute of Justice. N.p., 2015. Web. Oct. 2017. “Restoring Quality and Function.” Rehabilitation Institute of Washington. RIW, 2015. Web. Oct. 2017. “Washington State Department of Corrections“. Washington State Department of Corrections Web Site. Re-entry, n.d. Web. Oct. 2017.